Washington, DC-based independent investigative reporter Wayne Madsen claims in his exclusive (to subcribers) report of November 10, that the missile seen last Monday in the skies off the coast of Southern California was China’s. Beijing meant it as a show of force to warn the United States. China flexed its military muscle Monday evening in the skies west of Los Angeles when a Chinese Navy Jin class ballistic missile nuclear submarine, deployed secretly from its underground home base on the south coast of Hainan island, launched an intercontinental ballistic missile from international waters off the southern California coast. WMR’s intelligence sources in Asia, including Japan, say the belief by the military commands in Asia and the intelligence services is that the Chinese decided to demonstrate to the United States its capabilities on the eve of the G-20 Summit in Seoul and the Asia-Pacific Economic Cooperation summit in Tokyo, where President Obama is scheduled to attend during his ten-day trip to Asia. The reported Chinese missile test off Los Angeles came as a double blow to Obama. The day after the missile firing, China’s leading credit rating agency, Dagong Global Credit Rating, downgraded sovereign debt rating of the United States to A-plus from AA. The missile demonstration coupled with the downgrading of the United States financial grade represents a military and financial show of force by Beijing to Washington. The Pentagon spin machine, backed by the media reporters who regularly cover the Defense Department, as well as officials of the Federal Aviation Administration (FAA), North American Aerospace Defense Command (NORAD), and the U.S. Northern Command, is now spinning various conspiracy theories, including describing the missile plume videotaped by KCBS news helicopter cameraman Gil Leyvas at around 5:00 pm Pacific Standard Time, during the height of evening rush hour, as the condensation trail from a jet aircraft. Other Pentagon-inspired cover stories are that the missile was actually an amateur rocket or an optical illusion. Experts agree that this was a ballistic missile being fired off of Los Angeles. Pentagon insists it was a jet aircraft or model rocket. There are no records of a plane in the area having taken off from Los Angeles International Airport or from other airports in the region. The Navy and Air Force have said that they were not conducting any missile tests from submarines, ships, or Vandenberg Air Force Base. The Navy has also ruled out an accidental firing from one of its own submarines. Missile experts, including those from Jane’s in London, say the plume was definitely from a missile, possibly launched from a submarine. WMR has learned that the missile was likely a JL-2 ICBM, which has a range of 7,000 miles, and was fired in a northwesterly direction over the Pacific and away from U.S. territory from a Jin class submarine. The Jin class can carry up to twelve such missiles. Navy sources have revealed that the missile may have impacted on Chinese territory and that the National Security Agency (NSA) likely posseses intercepts of Chinese telemtry signals during the missile firing and subsequent testing operations. 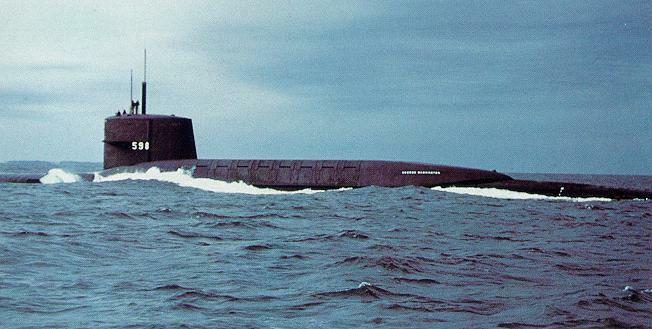 Japanese and other Asian intelligence agencies believe that a Chinese Jin-class SSBN submarine conducted missile “show of force” in skies west of Los Angeles. 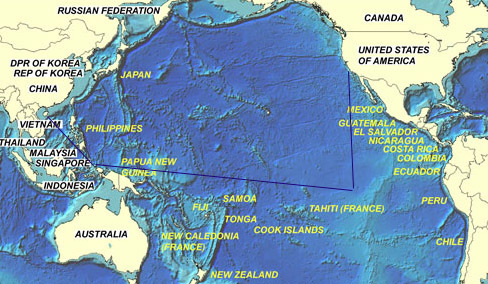 Asian intelligence sources believe the submarine transited from its base on Hainan through South Pacific waters, where U.S. anti-submarine warfare detection capabilities are not as effective as they are in the northern and mid-Pacific, and then transited north to waters off of Los Angeles. The Pentagon, which has spent billions on ballistic missile defense systems, a pet project of former Defense Secretary Donald Rumsfeld, is clearly embarrassed over the Chinese show of strength. Likely route of Jin-class submarine from Hainan base. The White House also wants to donwplay the missile story before Presidnet Obama meets with his Chinese counterpart in Seoul and Tokyo. According to Japanese intelligence sources, Beijing has been angry over United States and allied naval exercises in the South China and Yellow Seas, in what China considers its sphere of influence, and the missile firing within the view of people in Southern California was a demonstration that China’s navy can also play in waters off the American coast. For the U.S. Navy, the Chinese show of force is a huge embarassment, especially for the Navy’s Pacific Command in Pearl Harbor, where Japan’s December 7, 1941 attack on the fleet at Pearl Harbor remains a sore subject. This entry was posted in Uncategorized and tagged China, ICBM. Bookmark the permalink. Thank you for publishing this!! Wayne also said that the Gulf Spill situation would be used as an excuse to evacuate millions of people. I believe very little, if anything, that “the government, this administration in particular, says about anything…..
I’m still waiting for any of the really BIG dramatic things that Mr Madsen reports to pan out, too. I found this link via CFP. He says it was definitely a missile. I know little about this stuff but I do think that the fact that a cruise ship goes dead in the water at the same time is suspicious. Could that missile have triggered a small area EMP and that is what disabled the ship? Meh, we’re about due for another false flag attack. Anyone can see that this is just a con-trail from an airliner, anyone who thinks different is a wing nut, tin foil hatted, UFO conspiracy theorist. Get real people, nothing to see here… Move along! I’m leaning towards the explanation that it was China. I’m sure it got Obama’s attention. It got mine. probably linked to the g-20 and asian summits as well as world financial/economic policy. We are obviously way more vulnerable militarily and economically than our Gov’t would have us believe. This sort of provacation and intimidation of firing an ICBM off the coast would not have gone unanswered in the past. You’re all nutcases. Obviously it was alien technology, which is why NORAD didn’t see it. They are claiming that it was comercial airliner, and discreetly planting the China seeds, so that we will not start talking about the aliens. They are here on our planet, and always have been. This was probably one of their ships heading home, from one of their underwater hiding places. The missile was a part of US war game, verified, & NOT a threat as so many claim. The military are denying it probably through embarrasment. Too many jumped on the bandwagon without researching the story further. See details in article 2/3rds the way down..& “Military Maritime notice issued October 6th. The military was engaged in Missile exercises. The notice was available to the public and I was able to capture a screen shot of the document” which is situated 3/4 down. + more background info – a well researched article – PLEASE READ! the United States government and many other have satellites in orbit that monitor every square inch of the planet and can, a does, identify every vehicle that can and does fly in the atmosphere. Someone in the US military knows exactly where the missile came from, where it went and all the information needed. NORAD is most likely highly aware of what happened. It is their job to know this and they certainly have the technology and knowledge to do the job. You may be guessing about the millile but I assure you the government is NOT. 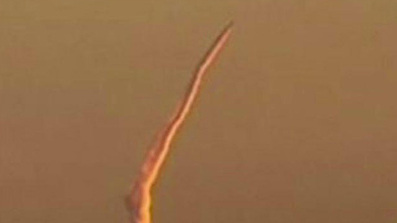 based on my militarly experience, John Aspen is correct in is comments about the missle which leads to 1. they were sticking a thumb in Obama’s eye, 2. they were testing our anti-missle defences and we knew it, 3. our defences did not detect the launch –all three of which were denied by the Feds. The trail is not from a jet plane–dig up the missle video and compare with the condensation trail of a jet. Basically the USA, western coast in particular would be a mushroom cloud before we even knew what happened, then it’s too late to save the rest of the country. China could obliterate the usa overnight before we knew what was happening. They obviously have the economic power too since they own the usa and it’s debt basically. We are sooo vulnerable (in many ways), it’s crazy. The american empire has basically collapsed and now is the time for the emerging dragon, the rise of the asian/eastern empire, oh well, we had a few good years……….